How do I disable the RM render in Mocha. say I rendered a frame or a range, and I want to temporarily disable to compare? another reason would be when I create a clean plate after a bad attempt of the RM, it will create it with the RM render unless I remove it. after a few testings I see that if I change my tool from the selection tool to one of the create splines tools, it will not show me my rendered RM. once I go back to the selection tool, I will lose my rendered RM completely and will have to render all the frames again. that a kinda workaround for the first question but is there a way to get these rendered frames back? Can I have more than one Remove objects in the same clip? I see once I create another it will replace the previous one… I am compositing in After Effects so my workaround is to duplicate the mocha pro effect on the footage and mask with compositing options each of the instances. when I create a CleanPlate Clip I see it defaults to the cache folder… can you default it be relative to the project? Just jump between the selected clip and the remove render in the viewer dropdown menu in the upper toolbar. 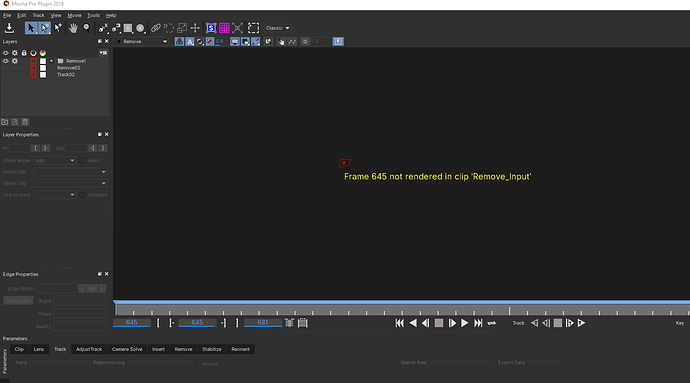 Also, you can go to edit>delete rendered frame to blow away the render on one frame if you need a non RM frame for a cleanplate. Are you sure you’re not just switching views? Otherwise, that sounds like a serious bug. Right now, unfortunately, the remove module seems to be working best with one layer of remove at a time. We are working on a solution to this. You can’t set a default location, but again, we are working on a solution for this. Look at the top of the viewer window, you’ll see a dropdown menu on the top left of the window. You can see it in your last screenshot you posted. You are switching views when you switch tools. & 3) Mocha renders in the plugin and that’s just a test render, the renders in AE and in Mocha are unrelated. So your renders go away when you pop out of Mocha, they’re temp files. 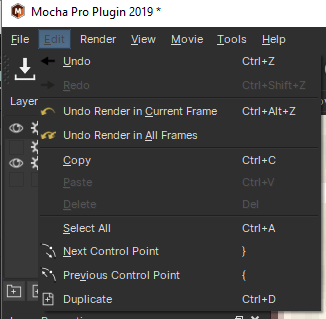 AE renders your Mocha renders on the timeline as you go. Separately.